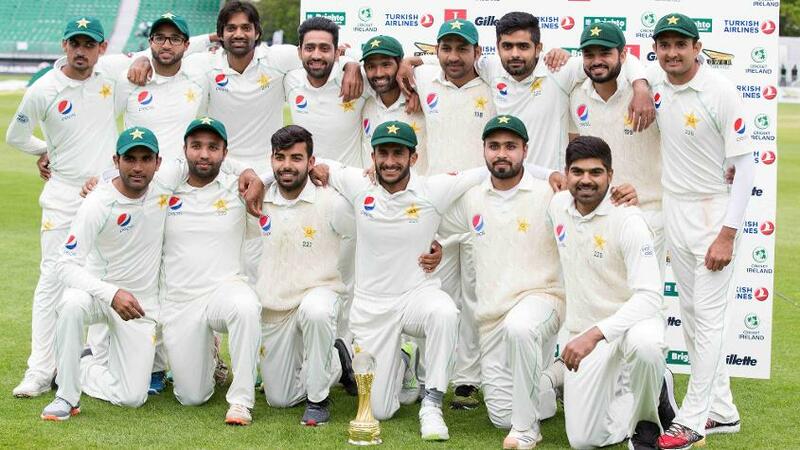 Azhar Ali dropped out of the top 10 among batsmen, while Faheem Ashraf and Imam-ul-Haq, the debutants, made significant gains. Kevin O’Brien, the 34-year-old Ireland all-rounder, has not only broken into the top 100 in the MRF Tyres ICC Test Player Rankings for batsmen, but gone all the way up to joint No.66 following his heroics in his country’s maiden Test match. 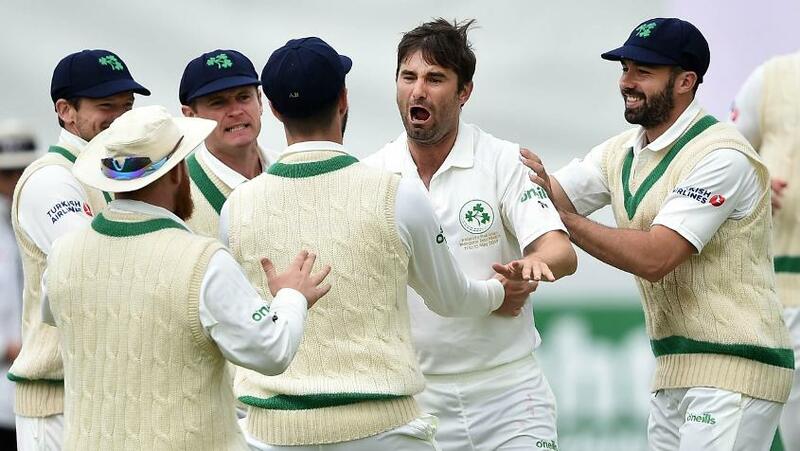 Ireland’s historic foray into Test cricket ended in a five-wicket defeat, but more than one Irish cricketer proved that they belonged at the highest level. None more so than O’Brien, who hit the most runs for the team both times of asking – 40 and 118. The century in the second innings even gave his team a slim chance of pulling off an upset result, which Pakistan managed to avert. O’Brien was named the Player of the Match, though, and his outstanding performance helped him get up as high as No.66 – equal with Vernon Philander – in the latest rankings with 440 points. He was the only Irish batsman in the top 100, with Stuart Thompson, who hit 53 in Ireland’s second-innings effort of 339, the next best at No.125 with 218 points. Among Irish bowlers, Tim Murtagh, who returned 4/45 and 2/55, was the best placed at No.67. Thompson – 3/62 and 1/31 – slotted in at No.88 among bowlers and joint No.76 among all-rounders. Overall, with not much Test cricket taking place, there was only one change in the top 10 in the list for batsmen and none at all among the top 15 for bowlers. Steve Smith, Virat Kohli and Joe Root continued be at the top of the pile for batsmen, with Kane Williamson, David Warner, AB de Villiers, Cheteshwar Pujara, Dean Elgar and Aiden Markram below them, but Hashim Amla has moved up to No.10 after Azhar Ali, the Pakistan opening batsman, had a poor Test against Ireland with scores of 4 and 2. Ali moved down to No.12. The big mover among Pakistani batsmen, meanwhile, was debutant Faheem Ashraf, whose 83 from No.8 was the top score in his team’s first innings. He earned 392 points to be at No.81. Imam-ul-Haq, also debuting in the match, scored 74* in the second innings to lift Pakistan from a precarious 14/3 in collaboration with Babar Azam (59) and got 274 points to get to No.113. For the full MRF Tyres ICC Test Player Rankings, click here.